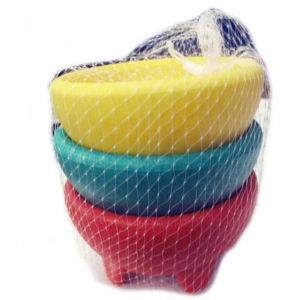 3 Colorful yellow, green and red plastic molcajetes wrapped in a net bag. They are used for serving salsas and your favorite Mexican delicacies or antojitos. 5" in diameter.